Not Pot has launched. The cheeky direct-to-consumer wellness brand is on a serious mission to destigmatize hemp, empower people to take control of their well-being through the use of cannabidiol (CBD), and shed light on social justice issues in the cannabis space. After spending the past 16 months in the cannabidiol market testing and selling out of products like CBD chocolates, Not Pot Founder and CEO Kati Holland decided to take all of the knowledge, intel, and understanding she’s acquired to launch an accessible, science-backed CBD brand with a strong social giveback component. To earn consumer trust and credibility within a largely unregulated industry, Not Pot tapped top PhD scientists and cannabis researchers to formulate a safe, effective cannabinoid supplement that works daily to maintain the health and tone of the endocannabinoid system, which is involved in a wide variety of processes, including pain, memory, mood, appetite, stress, sleep, metabolism, immune function, and reproductive function. 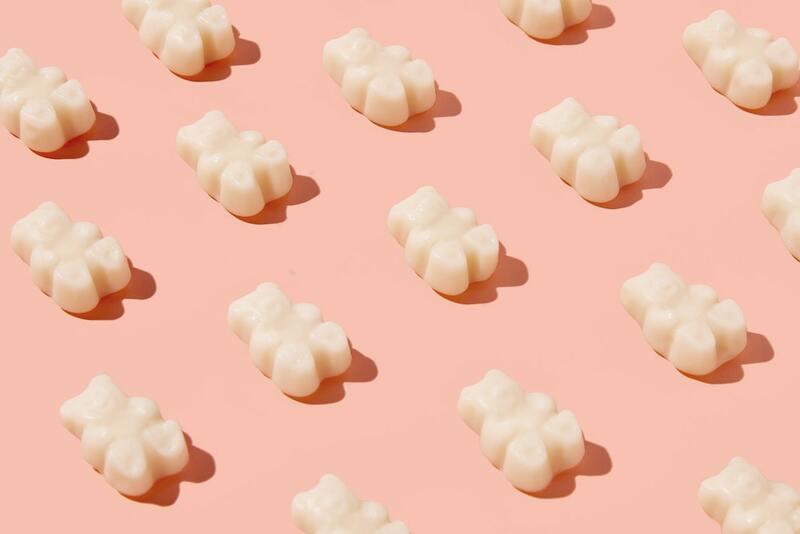 Each jar of CBD gummies contains 30 polar bear-shaped gummies designed specifically for daily consumption that are 100% vegan and free of artificial flavors; made with clean, good-for-you ingredients, like strawberries and apple pectin; and produced in a pharmaceutical-grade facility that’s certified organic, allergen-free, and Kosher. Due to the legal complexities preventing robust cannabis research and high-quality clinical studies and trials in the United States, Not Pot’s research and development team works hand in hand with some of the most prominent members of the medical and scientific communities in Israel who are at the forefront of medical cannabis research and have co-authored more than 160 scientific publications and secured over 46 patents in the space. While quality, efficacy, and research are the backbone of Not Pot, design is in the brand’s DNA. Behind the startup is an all-star cast of industry veterans: the branding was incepted by the same Parisian designer behind Glossier, as well as creatives who have worked on companies like Casper, Allbirds, and Buffy to name a few. 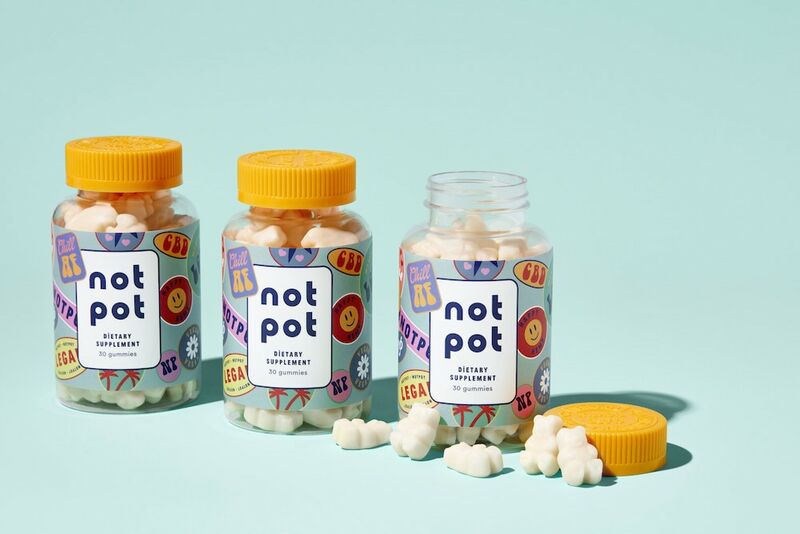 Together, the creative team has transformed Not Pot into a friendly, science-based, and socially conscious lifestyle brand with the intention of de-stigmatizing hemp while mobilizing moms and millennials alike to show off their favorite CBD products to friends on Instagram and IRL vs. hiding them in the back of their drawer. With the official launch of Not Pot, Holland has also made it her mission to put her money where her mouth is and use Not Pot as a vehicle to shed light on the many injustices in the cannabis space, specifically the criminal justice system as thousands of Americans remain in prison and jail for cannabis convictions due to cannabis prohibition. To that end, Not Pot is proud to work with The Bail Project, a non-profit organization designed to combat mass incarceration by disrupting the money bail system through a revolving bail fund. Using profits from sales, Not Pot pledges to pay bail for one person in need every month.